Your log data contains a wealth of information about the health and performance of your network and servers. But without a unified view of logs and infrastructure, you run the risk of missing key signals. 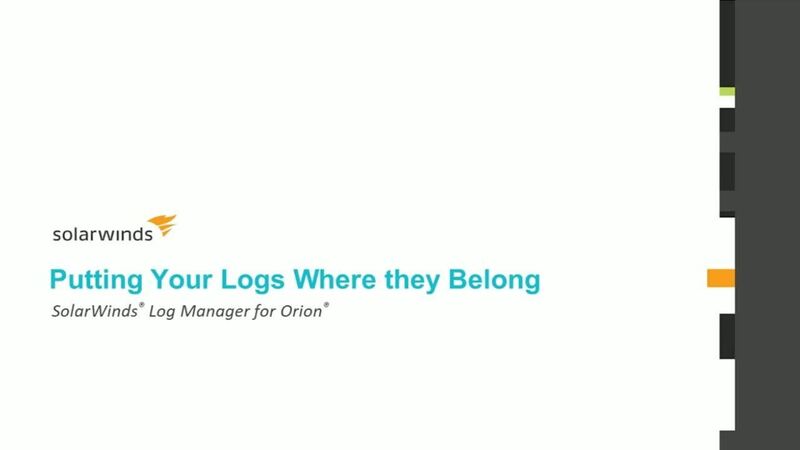 The new SolarWinds® Log Manager for Orion® finally puts your log data right where it belongs, in the heart of your Orion console. Join SolarWinds product manager Jamie Hynds and see how easy it is to gain insight into the performance of your infrastructure by monitoring your logs in a unified console with Network Performance Monitor.